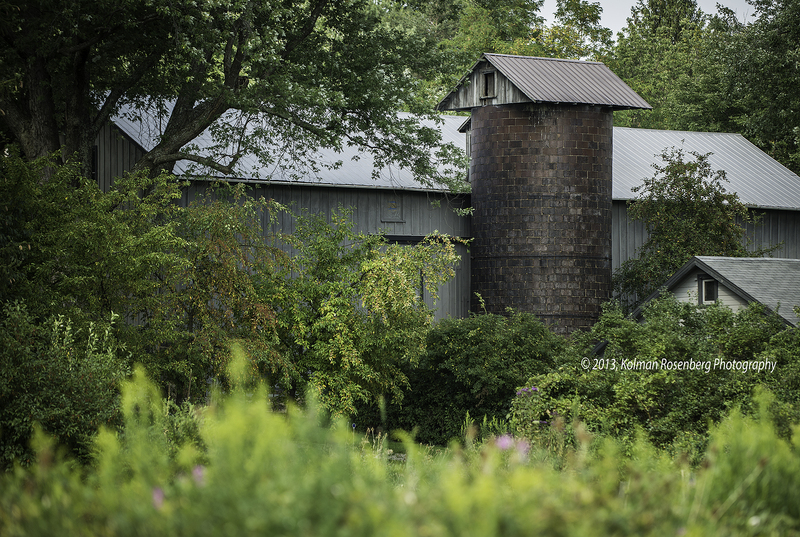 On Sunday I went “barnstorming” with another photographer friend to shoot some old barns in the area. Some are in good condition, others rather dilapidated but I had spotted this one out of the corner of my eye several months ago and had wanted to go back and capture it. When I had originally seen it, we were in the midst of spring and the foliage on the trees was much lighter and the barn stood out. Going back this time, it was hard to find and surrounded between the trees with deep dark foliage! This barn is in pretty good shape and what really grabbed my eye was the unusual silo! Most have round domed roofs but this one had a rectangular peaked roof, quite different. While traveling on our “barnstorming” adventure I also knew we would be passing an old private cemetery which dated back to the mid 1800s and thought we might stop there too for some photos. We decided to do that and I decided to pull out and shoot with a relatively new tool of mine, the Lensbaby. This is a lens system that gives a very different look depending on which optic you use with it. Usually I am using an optic that gives a clear point of focus wherever you want to put it, and then the rest of the image has both an out of focus and zoom kind of appearance. Roaming the cemetery I came across this gravestone, literally between the trees! Two very large and old trees had grown in front of and behind this marker. It made for an interesting photo with the Lensbaby and I liked how it came out. 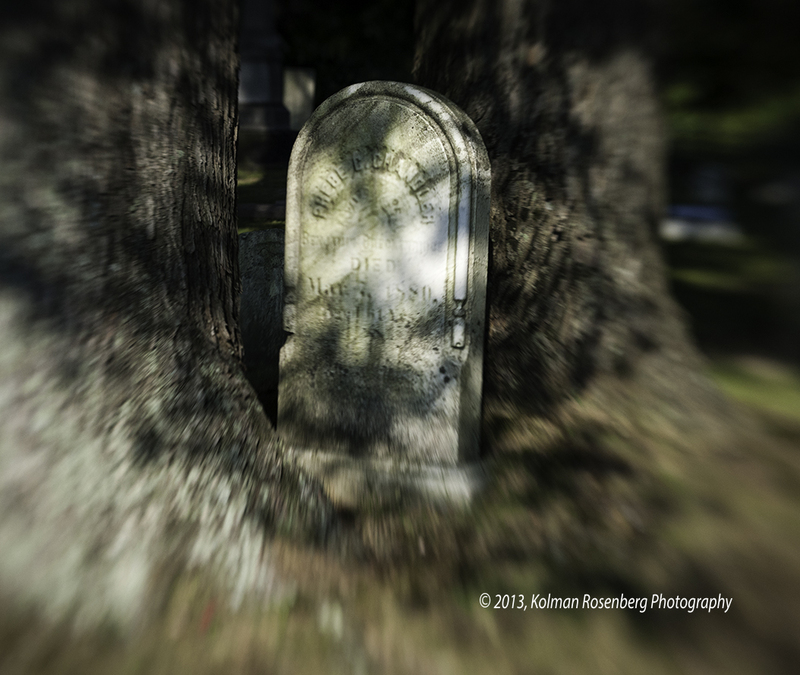 This entry was posted in Uncategorized and tagged barn, barnstorm, blur, cemetery, grave, gray, Lensbaby, optic, trees, zoom. Bookmark the permalink.